You’ve been doing it every year since you were a toddler – going to the dentist every six months. Or perhaps you’ve relaxed a bit on your biannual teeth cleanings, even though you know the recommended number of dental visits for healthy individual is twice a year, spread out six months apart. Are you a Belmont resident wondering why you need to visit the dentist so often? If so, read our list of three reasons you need a dental cleaning every six months. You’ve probably heard about gum disease, or at least its earliest stage, gingivitis, on toothpaste and mouthwash commercials. But did you know that, even though in some cases Belmont residents are genetically inclined to develop this disease, that visiting your dentist regularly is one of the best ways to detect gum disease, and get your mouth healthy again? Our doctors at the Dental Restorative Group are able to detect early phases of gum disease in Belmont patients long before the telltale symptoms of red and swollen gums appear in our patients. By diagnosing gum disease early, we’re able to return your gums to a healthy state. And, if it’s been a while since you’ve last seen the dentist for a dental cleaning, we can diagnose additional stages of the disease, and put a proper treatment plan in place to restore your gums and save your teeth. 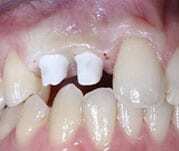 Have you ever gone to your dentist only to hear that you have plaque build up? Plaque is a sticky deposit that clings to your teeth and is full of all kinds of gross bacteria dental patients don’t want in their mouths. 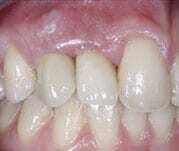 The buildup of plaque can also result in tartar, which discolors your teeth. While properly brushing your teeth twice a day, flossing once daily can prevent plaque build up, it can’t kill or remove plaque or tartar once it’s present. Only a professional dental cleaning by a dental hygienist can do so, which is why you should see our doctors every six months. Losing a tooth to tooth decay can be not only painful and embarrassing, as a missing tooth can negatively impact your smile, but also expensive to replace with a dental implant or other tooth replacement system. But it’s important to remember that tooth decay happens over time, not in an instant and that by coming to our doctors at Dental Restorative Group every six months for a dental cleaning, we can diagnose issues causing tooth decay and form a plan to save your affected tooth or teeth. Whether you’re always on time for your dental cleanings, or it’s been a while since you had one, our doctors are prepared to help you and your unique case. The best place for dental care in the Belmont area is the Dental Restorative Group. To schedule a routine dental cleaning today, call us at (617) 489-1470.